Our enchanting villa is in the heights of Issambres next to Sainte-Maxime. Let the charm and peace of the villa wash over you. It offers an unobstructed view of the sea, the hill, and the Gulf of Saint-Tropez. Four palm trees surround the large private heated pool has a gate, a roller shutter, and lighting at night. Children can play on the flat grounds. The three ground floor bedrooms face the pool and summer kitchen, which has a double-door fridge and a veranda. The children's bedroom has three bunk beds. The upstairs has a kitchen, a large lounge, a living room, and two beautiful bedrooms. The six bedrooms are all self-contained with en suite bathrooms and WC. "If your looking for a luxury villa that caters for your every need, then this is it. The villa is situated quite high in the hills , but what this gives you is peace , privacy & beautiful views. The villa is well equipped , very spacious & the pool is wonderful. I have stayed in several villas in the area & this one is by far the nicest which made our family holiday better than ever. The owners are also very nice people. I wouldn,t hesitate reccomending this to anyone." "Villa très agréable, magnifique séjour!" "Une vraie villa très agréable pour 16 personnes où tout est en quantité largement suffisante depuis le bain de soleil jusqu'à la vaisselle. 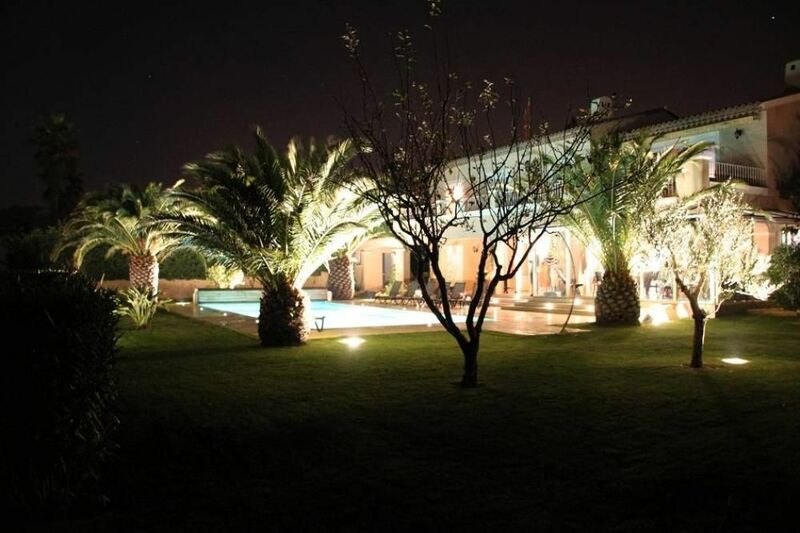 Magnifique villa très calme, très propre, une décoration très soignée. Tout est qualitatif et bien entretenu. RIEN ne manque. On y reviendra avec plaisir." "Tout a eté excellente: maison, support, relation avec la proprieté... très bells vacances, aucun souci, sejour au top."